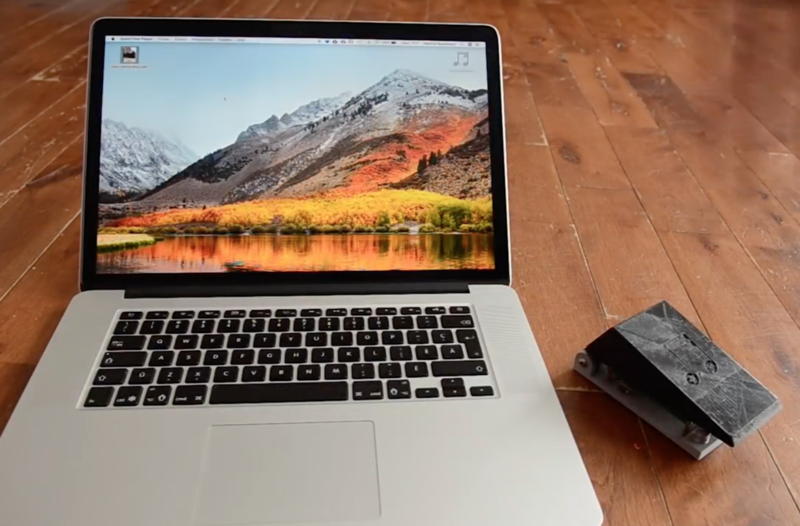 3D printing, while revolutionary in many aspects, generally means you’re stuck with what you print. 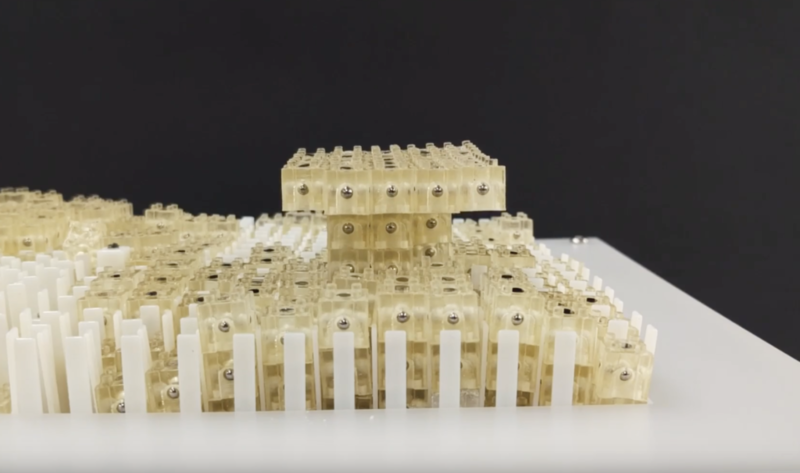 Researchers at the University of Colorado Boulder and the University of Tokyo, however, have created a printing system called Dynablock, which attaches specialized magnetic blocks together that can used over and over. Dynamic 3D Printing combines the capabilities of 3D printers and shape displays: Like conventional 3D printing, it can generate arbitrary and graspable three-dimensional shapes, while allowing shapes to be rapidly formed and reformed as in a shape display. 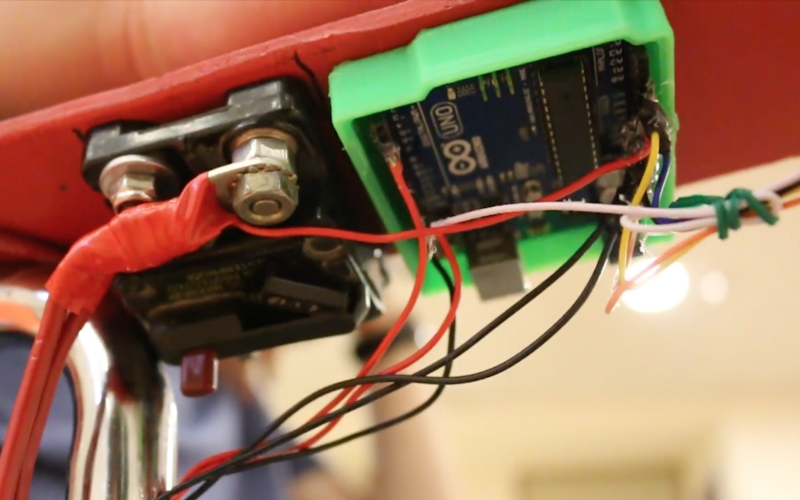 To demonstrate the idea, we describe the design and implementation of Dynablock, a working prototype of a dynamic 3D printer. 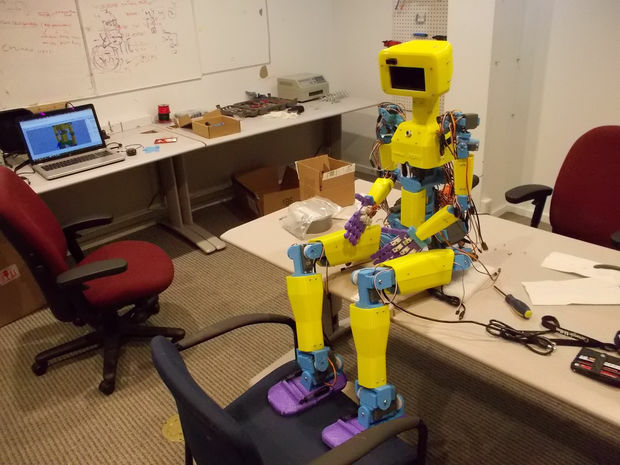 Dynablock can form a three-dimensional shape in seconds by assembling 3,000 9 mm blocks, leveraging a 24 x 16 pin-based shape display as a parallel assembler. 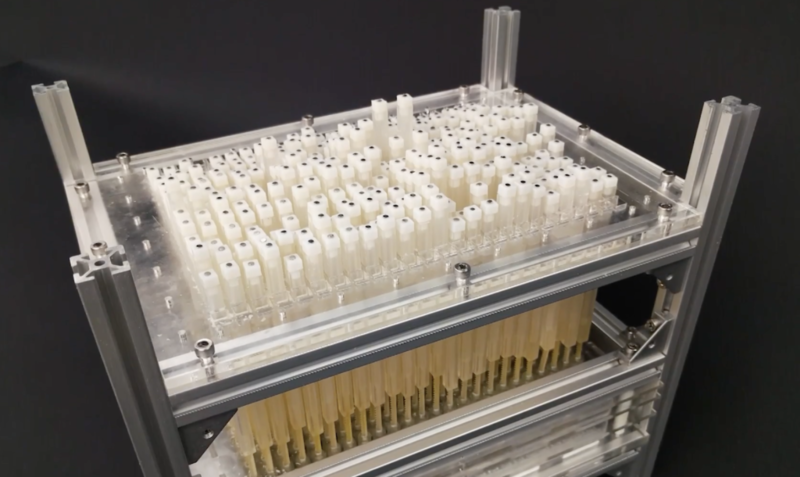 Dynamic 3D printing is a step toward achieving our long-term vision in which 3D printing becomes an interactive medium, rather than the means for fabrication that it is today. In this paper, we explore possibilities for this vision by illustrating application scenarios that are difficult to achieve with conventional 3D printing or shape display systems. If you need to know the forecast, generally you can look outside, listen to a weather report, or take advantage of the wide range of online services available. 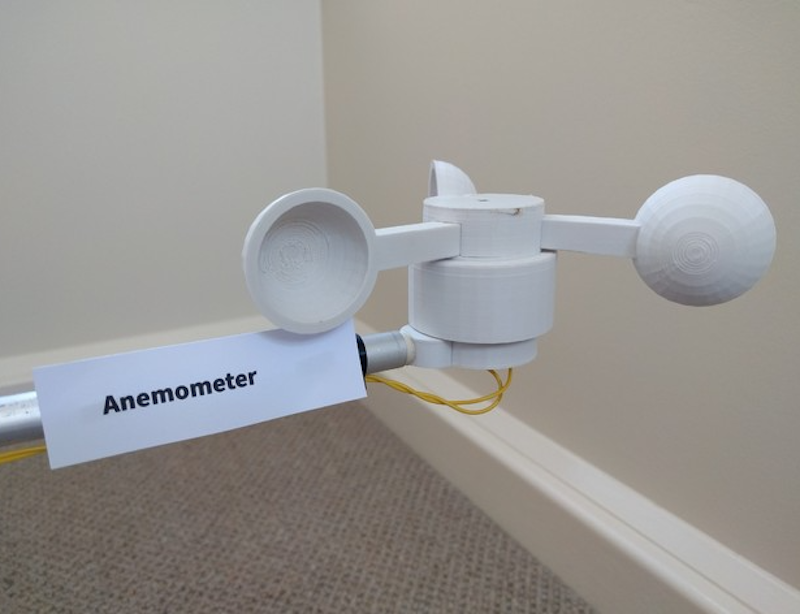 For something local to your dwelling place, however, this 3D-printed weather measurement device gives a great way to see what’s going on. 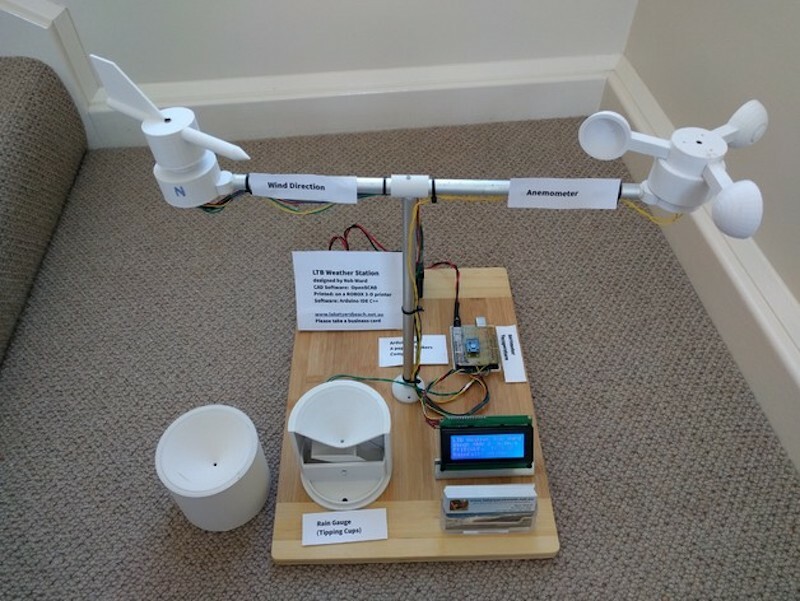 The system features a 3D-printed rain gauge, anemometer, and weather vane, along with a barometer and temperature sensor. Information from these sensors is piped to an Arduino Uno and displayed on a 4×20 character LCD. While meant as a demonstration for an arts/science exhibition and would need to be calibrated for real world use, it is a perfect starting point if you’d like to build your own personal station! The thrust bearings should be a tight fit and not require glue. The 5mm brass tube for the axles though will benefit from some cyanoacrylate on the ABS to hold them in place. Rough the tube up a bit with sandpaper or a file to help adhesion. The temperature and barometric pressure does not need calibrating. However rainfall (it is fairly close) and wind speed will need calibration. As long as the magnet in the wind direction sensor is close enough to trigger two adjacent reed switches when half way between the two reeds, it will allow 8 reed switches to reliably indicate 16 directions. The reed switches in the direction indicator are vertical and are not trimmed, just the top end curled over to allow easy soldering to the common earth wire ring. Extra spacing maybe required, eg a small ring of heat shrink tubing to keep the moving parts of the anemometer and wind speed separated and seated on the bearings in the stationary base. This was too fine to print. All the magnets N-S poles should be aligned along the line of the reed switch. The magnet lines of force between N-S have the best switching effect, not one of the poles, N or S, on its own. This also helps eliminate bounce, or multiple triggering. 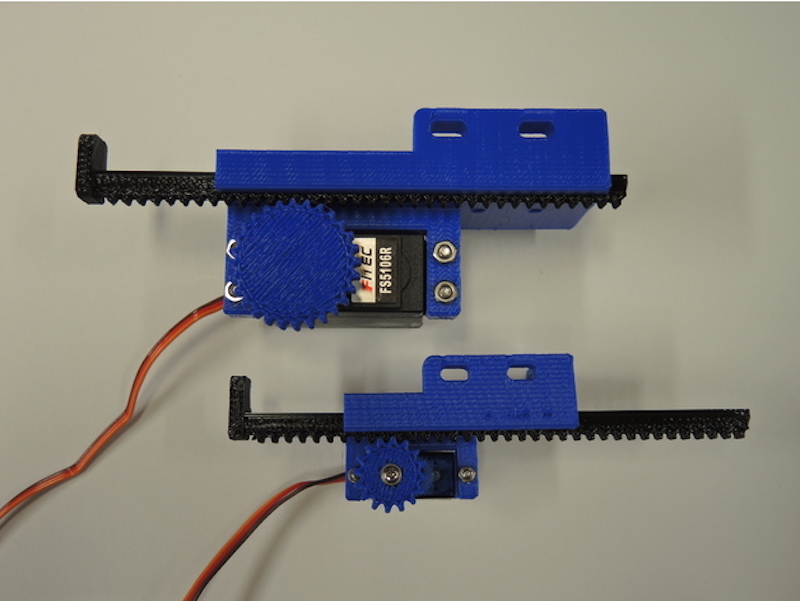 More details on the project can be found on Thingiverse. 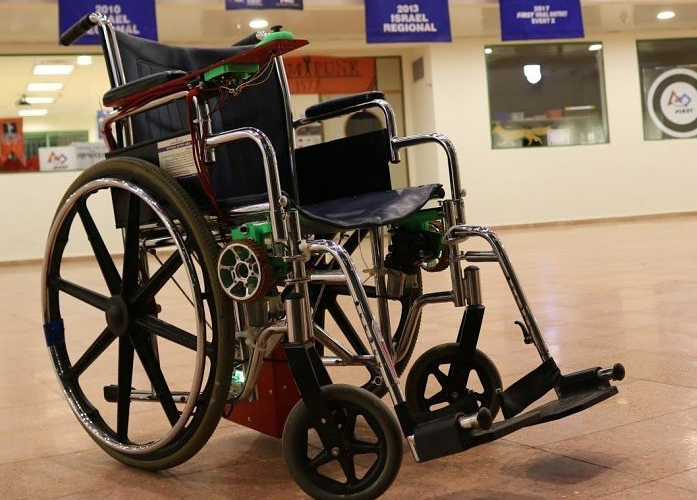 While electric wheelchairs are a vital tool for those with restricted mobility, they typically cost around $2,500, an amount that’s not the most affordable. 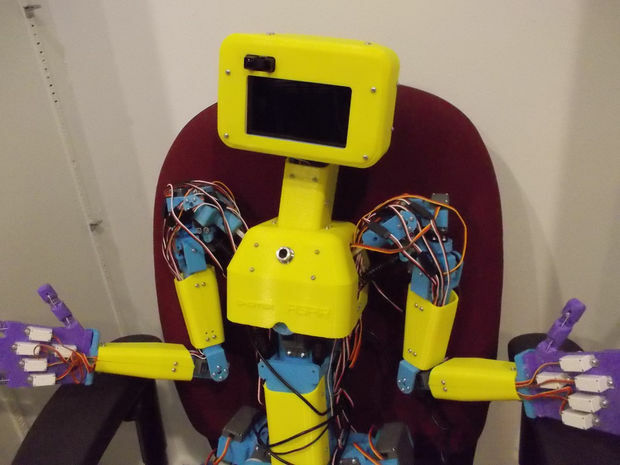 To address this problem, a group of students from Aviv High School in Israel have come up with a low-cost, 3D-printed motor conversion kit that connects to a standard push-chair without any permanent modification or damage. 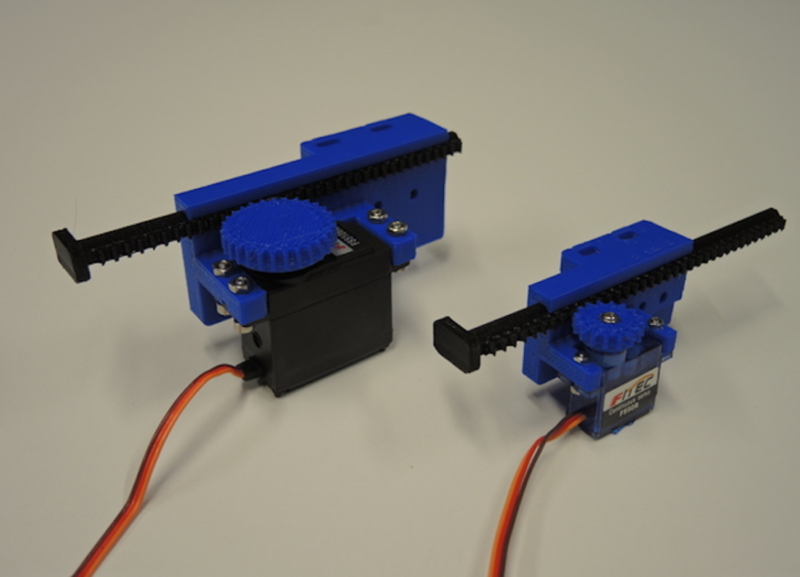 The system uses a pair of motors to steer like a tank, and features a joystick and Arduino Uno for control. Another interesting feature is shown later in the video below, when it’s folded up for storage with the motor kit still attached. 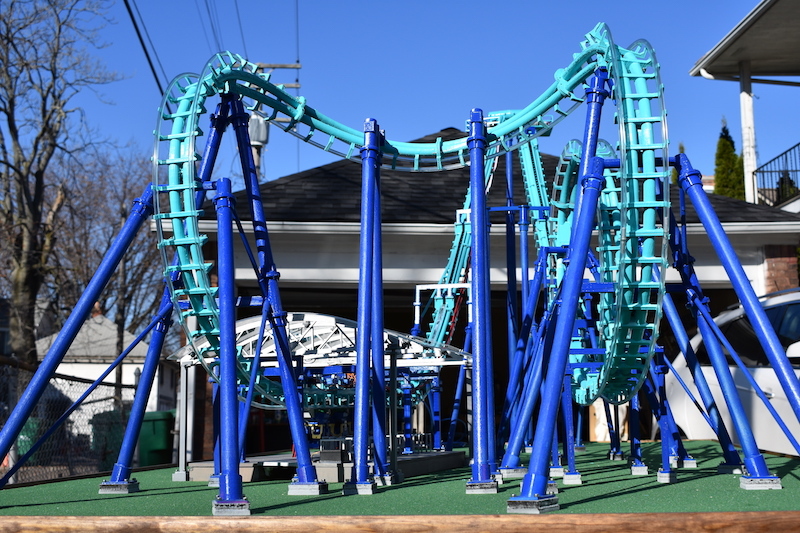 You can check out the team’s website for more details this incredible project, as well as All3DP’s recent article here.